Honestly, with all the safeguards Credit Card companies have put in place with online shopping, the above concerns are probably more likely to occur when using your card at the local Red Robin when the meth addict teen scans your credit card and copies it for later use. Sure… this scenario can happen online as well, which is why I’m going first to talk about an alternative to using your Credit Card online. PayPal is probably the #1 Online Payment vendor which was originally introduced in 1998 to help solve the Payment and Privacy problems of the Internet. Essentially the way it works is you set up a PayPal account from their website; then PayPal acts as the middleman between you and the Online Retailer. Like a Credit Card company, PayPal first validates a few pieces of information about you (Name, Address, etc.) and then creates your account based on your email address. Once you create your account, you can Purchase stuff online using your PayPal account funding the transactions, either from a linked Bank Account or a Credit Card. The groovy “secure” thing about PayPal is when you buy something online, all you provide to the vendor is your email address, and PayPal takes care of the rest (vendor must accept PayPal as a payment option). Another nice thing about PayPal is the ability to use it to send someone cash OR, receive cash from someone (perhaps from last night’s poker game.) All that’s needed is the email address, and if the person you send cash to “via their email address” does not have a PayPal account, the email they receive will walk them through the process of creating a new PayPal account. Again, very simple and secure (and free in most cases.) Personally, I use this option to send cash to missionary friends in Africa. Simple, reliable, and very fast! 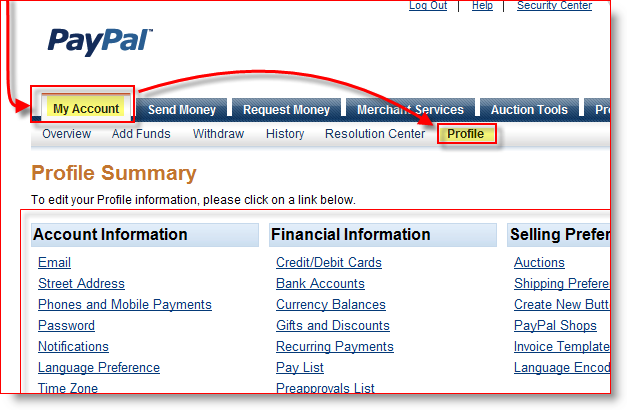 Who is PayPal? Can I Trust Them? 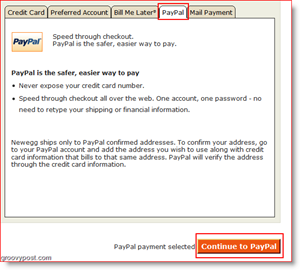 PayPal is not only secure, but it’s also a quick way to pay. 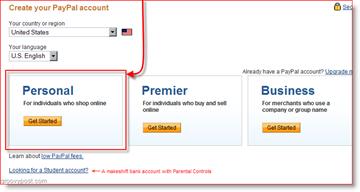 Once your account is setup, all you have to do is memorize one login and password (your PayPal account.) Since you can link a checking account or credit card to the account, you’re ready to go! PayPal will remember your shipping address and all of your payment options for you. This process makes things way easier than having to pull out your credit card every time you want to buy something and typing in all the numbers, secret codes, etc. PayPal offers limited buyer protection, through one of its policies. If you don’t receive your product, or feel it was advertently misrepresented, then you can file a buyer complaint within 45 days of the original purchase. If the claim is found to be valid, the seller will have to give you a full refund including shipping. Paypal will usually only go as far as to file legal action and/or remove money from the wrong party’s PayPal account balance. If you’re interested in selling things online, PayPal has good options for you but, they do charge fees for processing. Just something to keep in mind. Alright sounds good, where do I sign up? 1. 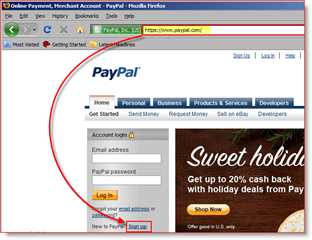 Open your Internet Browser and Type in the URL http://www.paypal.com/. 2. Click the Account Link of your choice to continue. The registration process is pretty self-explanatory, be sure to fill in your real info, PayPal will keep it confidential. Note: Starting out, I recommend using the Personal Account. It’s free of all fees and should be all you’ll ever need. Plus, if you want to upgrade later, it’s as simple as a few clicks. To compare the three accounts, however, click here. 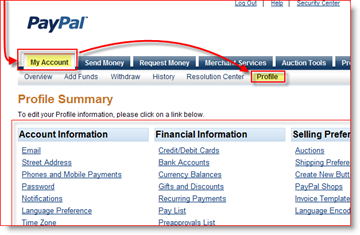 PayPal lays an account comparison in a simple to read format. 3. Click My Account > Profile. You’ll now be on the main page where you will Edit and Enter Information about yourself and your Payment/Shipping Options. Please remember that most online stores will only ship to your PayPal shipping address when you’re making purchases, though. Setup is all finished; you now have one groovy PayPal account for buying and selling stuff online! 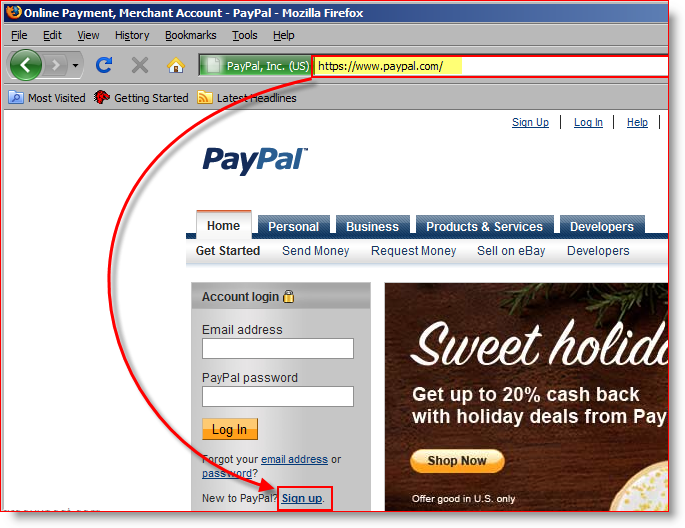 Never ever share your PayPal login information with anyone! Okay, awesome I’ve got PayPal, now what do I do with it? How do I go about buying things? Luckily they’ve already thought of this; PayPal allows online retailers to integrate their checkout systems with PayPal easily. All you have to do is shop, and add things to your cart. 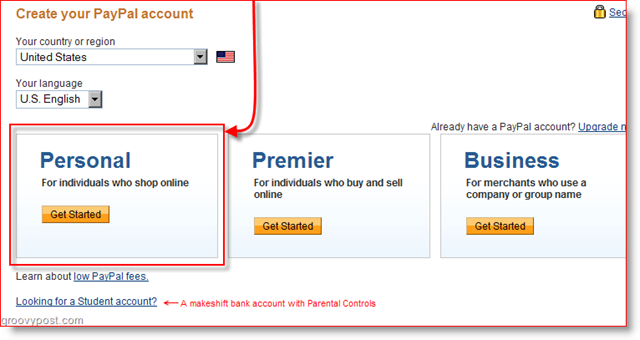 Once it is time for Checkout, look for the option to Check out with PayPal or pay using PayPal. 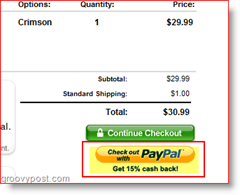 Sometimes PayPal even offers rewards for using it, such as cash back! So you will know what to look for, here are a few picture examples! Have a groovy time with PayPal! Would love to hear everyone’s comments so please feel free to drop a note below. If you have a question, please use our Free & Groovy Community Tech Support Forums! Yup I use paypal, way better than using a credit card. I don’t have it hooked up to a checking account though, just a mastercard. So in such I have double the protection. Funny article. I’ve been using Paypal for a long time. Looking forward to your follow-up articles on cash savings! Regarding to current market condition, earning money aren’t going to be those quick. Nevertheless thank you for the advice! Hi there very nice website!! Guy .. Excellent .. Superb .. I’ll bookmark your blog and take the feeds additionally?I’m happy to find a lot of useful information right here within the publish, we need develop more strategies on this regard, thank you for sharing. . . . . .
USComponent.com is an electronic parts distributor selling parts such as 00000750MFD, 00002200MF25VDC, 000040000OH1, 00005294, 00007773, 0000926070, 0000D3L, 0000MPF, 00011003, 000103PF40, and other obsolete electronic components.